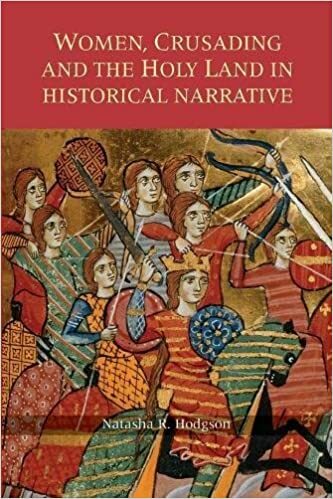 Narratives of crusading have often been overlooked as a source for the history of women because of their focus on martial events, and perceptions about women inhibiting the recruitment and progress of crusading armies. Yet women consistently appeared in the histories of crusade and settlement, performing a variety of roles. While some were vilified as "useless mouths" or prostitutes, others undertook menial tasks for the army, went on crusade with retinues of their own knights, and rose to political prominence in the Levant and and the West. This book compares perceptions of women from a wide range of historical narratives including those eyewitness accounts, lay histories and monastic chronicles that pertained to major crusade expeditions and the settler society in the Holy Land. It addresses how authors used events involving women and stereotypes based on gender, family role, and social status in writing their histories: how they blended historia and fabula, speculated on women's motivations, and occasionally granted them a literary voice in order to connect with their audience, impart moral advice, and justify the crusade ideal.